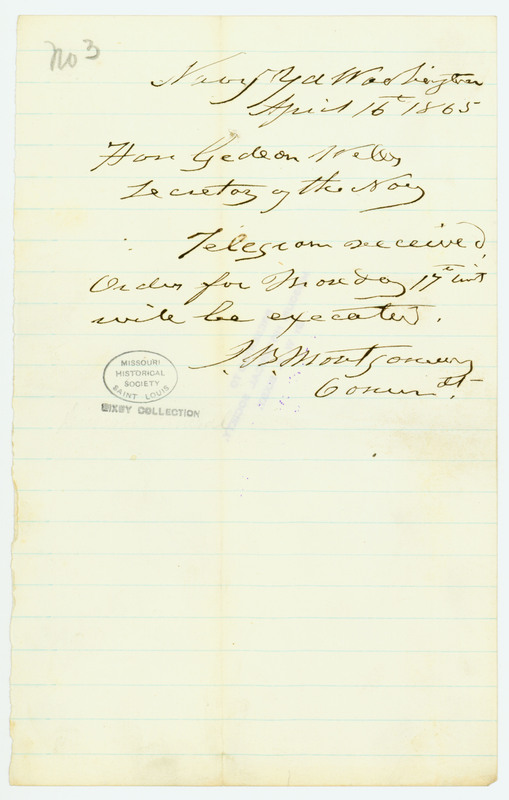 States, "Telegram received. Orders for Monday 17th inst. will be executed. . . ."